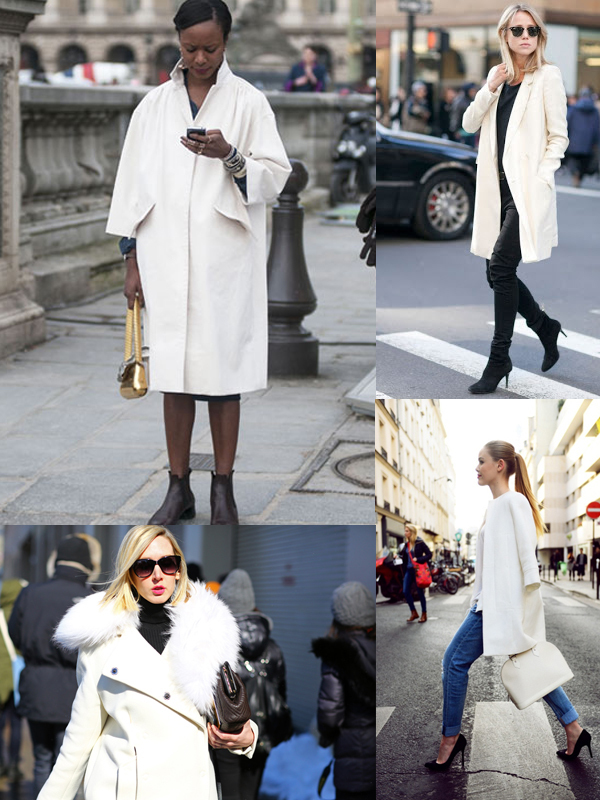 This time I want to speak about white women coats styles and how to wear them this year. It's a great cover-up that stands out once you try it on. The following collection consists of amazing wrap-cut designs, trenches, blazer-like styles, suede, fur, medium, long and shortened versions, in other words saying, all cuts and styles. What I do like about these cool staples is that every single style is in vogue. Why these cover-ups are so popular these days? It's simple, they look rich, refined and luxe. 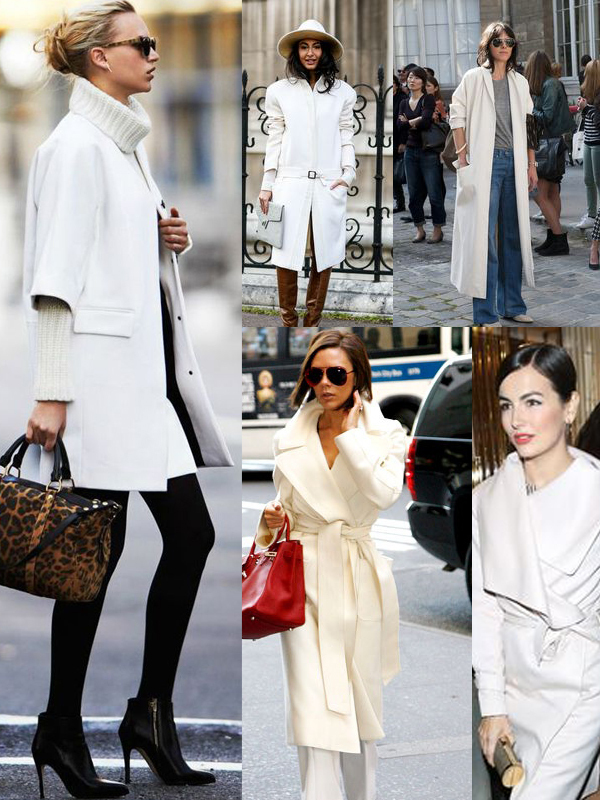 I personally love to see women wearing totally white looks or white coats over colorful staples, as it screams impeccable voguish. I find this color to be luxe and expensive. Just imagine yourself in this outerwear styled with sunglasses and long black leather gloves, it smells very retro chic to me. If you ask yourself how to wear this coat without looking like a shiny crap surrounded by dark and gloomy weather, then I suggest you to take a look at these awesome street style images for a real inspiration. You can try on a collarless jacket styled with a black shift with an embroidered collar. Finish the look by adding classic tights, glossy black pumps, everyday handbag and chunky jewelry. That's a perfect boyfriend's look that includes baggy pullover, boyfriend jeans and white sneakers. An elongated cover-up is an ideal staple for wearing with cable knit pale blue sweater, pinstripe wide trousers and cool sneakers. That's a creative look that comes with a wide belt. I love these rounded sunglasses and white pumps. The cape-style coat looks impressive. Try it on with your formal and office attire. So, you've got an inspiration, right? 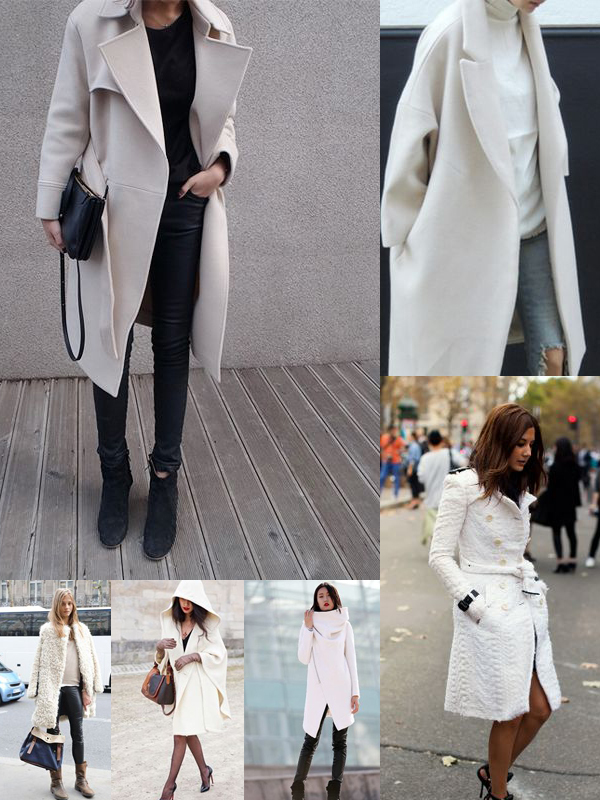 Now we have to see and find out how to style white coat. As you all know, this color is a neutral hue that comes with a basic shade, meaning it goes ideal with anything. But I personally consider these staples look best over all-white outfits, either all-black. You are going to see here bloggers and fashionistas who appear in the streets wearing these cover-ups with jeans and basic tops. 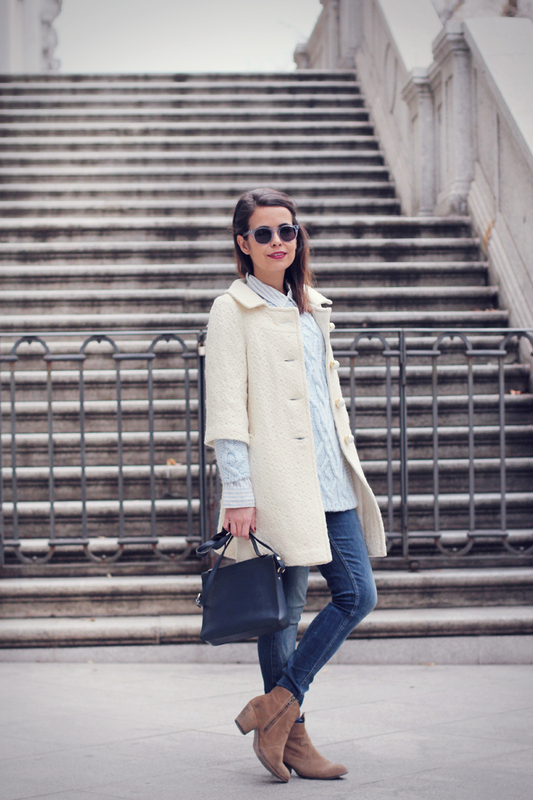 For a more effortless casual style you can go for an oversized trench, jeans and black sweater, while the shoes can be either sophisticated classic pumps or cool flats, starting from sneakers to slip ons or oxfords. Hope you've got the huge dose of inspiration which will surely help you creating your next week outfit. What you think of this look? Would you wear it in your everyday life?